Last Sunday saw a real Roy of the Rovers ending (see footnote for younger readers) to an incredible game at the DW stadium as Wigan overcame West Ham 3-2. This amazing rollercoaster encounter saw Latics come back from 2-0 down at half time and win 3-2 in the 94th minute with a modern-day Roy Race, Charles N’Zogbia getting the last gasp winner. It was a comic book fantasy ending to an emotionally charged relegation decider. The fans went through the whole gamut of emotions during the mind-boggling 94 minutes, before they were able to celebrate what was an exceptional result. Unfortunately we have to do it all again this Sunday. We go to Stoke probably needing to win with other teams slipping up. We are in a five way relegation battle with Wolves, Blackburn, Birmingham and Blackpool, with two of the five to be relegated. Stoke have had a great season, FA Cup finalists, qualified for Europe and currently 9th in the Premier League table. Worryingly they have an imposing record at home this season with 10 wins, 4 draws and 4 defeats, scoring 31 with 17 against. Some may point to the fact that Stoke have lost their last two games against Manchester City but Tony Pulis is one of the hardest taskmasters and he will want his team to sign off with more points than last season and to finish in the top 10. Stoke have several injury doubts with Robert Huth, Jermaine Pennant, Matthew Etherington, Rory Delap and Kenwyne Jones all facing fitness tests. Despite this long list I expect that Pulis will want to play his strongest team and this will no doubt include most of the above. The Potters are one of the most hard-working and competitive teams in the league and their robust and physical style make them difficult to beat. Many of Stoke’s goals come from corners, free-kicks and Rory Delap’s long throws. Wigan will need to stand firm and be combative against the aerial bombardment. The defensive lapses experienced against West Ham cannot be repeated if we are to prevail. The big question for Wigan fans is whether Conor Sammon will start the game. Sammon scored a crucial equaliser against West Ham and can lead the line with strength and purpose. Roberto Martinez may however decide to start with his usual line-up and only introduce Sammon when required. The player who could be the deciding factor between the two teams is Charles N’Zogbia. Wigan’s leading scorer has scored 6 goals in the last 5 games and if he is able to continue his scintillating form Wigan will be favourites to get the 3 points. A Wigan win gives us a great chance of survival, but the scores at Molineux, Old Trafford and White Hart Lane will also have a say in our destiny. If Sunday’s game is anything like the West Ham game we are in for another emotional afternoon and I’m hoping for another real Roy of the Rovers ending from Wigan Athletic. Footnote – Roy of the Rovers is a British comic strip about the life and times of a fictional footballer named Roy Race, who played for Melchester Rovers. The stock media phrase “real ‘Roy of the Rovers’ stuff” is often used by football writers, commentators and fans when describing displays of great skill, or results that go against the odds, in reference to the dramatic storylines that were the strip’s trademark. This entry was posted in Stoke City, Wigan Athletic and tagged Roy of the Rovers, Stoke City, Wigan Athletic. Bookmark the permalink. there is no doubt that wigan will win and stay up, none at all, blackpool will lose at old trafford and i fancy blackburn to join them in the drop. stoke are decent enough if not very likeable, but let’s face it, their players are already on the beach and will roll over fairly easily. i hope these few positive words will keep yout spirits up until sunday. of course, i could be totally wrong !! 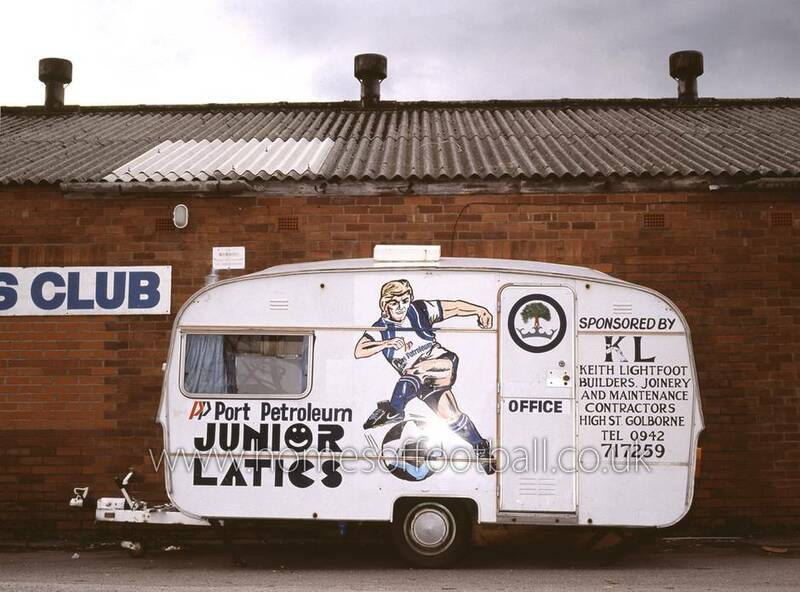 muy beuna suerte los latics ! !